The internet can be a fun place to daydream about backpacking in the Olympic Mountains; especially during the winter months. Thought I would share some Google Earth 'hack plug-ins' to make your mind endlessly wander the alpine regions of the Park. These tools are for educational and planning purposes; map detail not to be trusted for off trail land navigation. Stumbled upon these through surfing the web, well as sent to me by reader. Location of Google Earth topographical overlay, after plug-in download is complete. 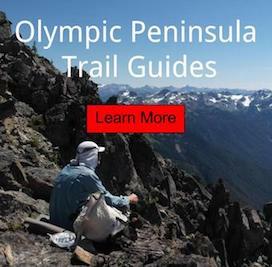 A hiker should prepare ahead of time, before venturing into Olympic National Park. Proper planning can make all the difference when it comes to safety and success of the trip. It should not be overlooked.